Collaborated project with Andy Liao . Most schools have limited play for children, such as in classrooms or playgrounds that are always full of people. The lack of personal space for self development has impacted children’s growth. 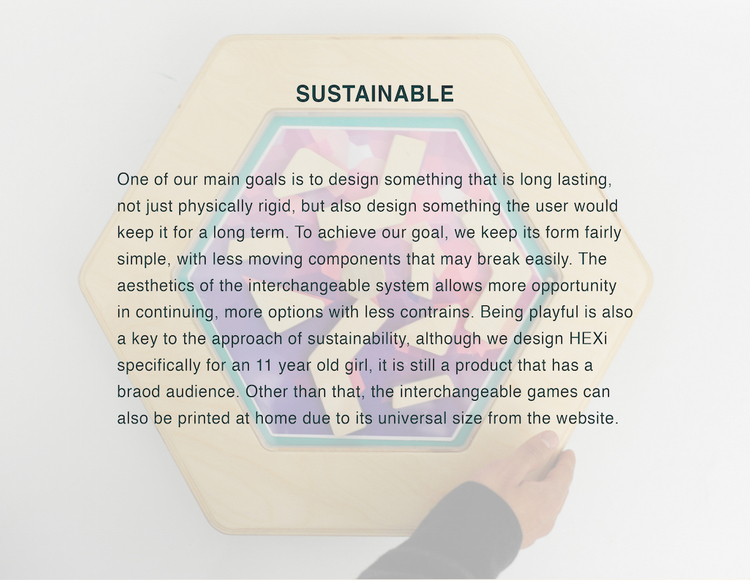 Our aim is to create a piece of interactive furniture for children to play at home. 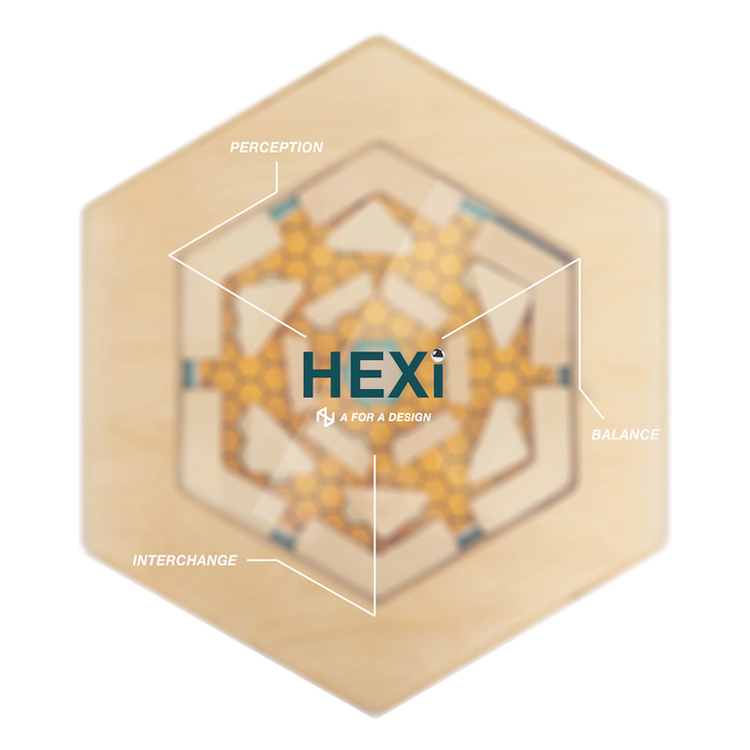 HEXi introduces an interactive balancing labyrinth with customizable graphical gameboards that can be interchanged, and magnetic pieces that can be placed at any desired location. As the game starts, the player is to be challenged to use their body movement to guide the metal ball through the obstacles to the centre magnetic target in order to win the game. 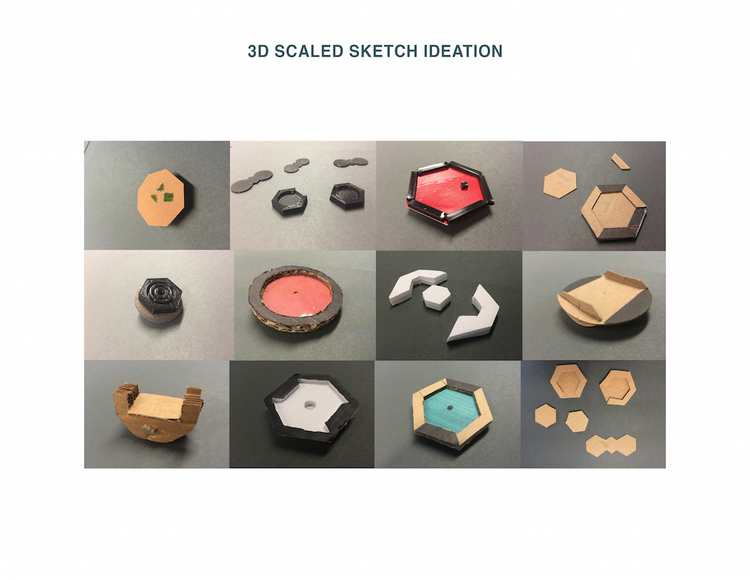 The magnetical obstacles are shaped differently and they all have different funtions to spice up the game, some have tunnel, some have rubber component to bounch the metal ball for extra suprises. 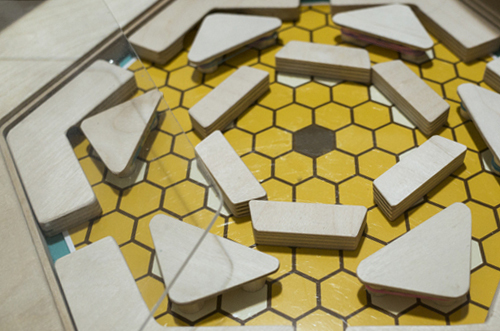 The body of Hexi is made out of Baltic Birth Plywood with an Plexiglass top, the metal board is painted with food safe paint and is laminated under the game board for placing magnetic pieces, the bottom dome is a lathed beech wood with vacuum laminated leather. The centre target machinism is desinged to be a release plug to restart the game, and to lock down the Plexiglass while carrying around the board.